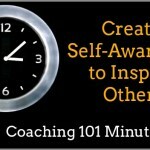 You are here: Home » RESOURCES » Coaching 101 Minute » What Level of Self-Accountability Is Required of an ICA Student? When we are accountable to something or someone else outside of ourselves, our actions have a greater chance of taking place than when we are not accountable. When looking at the dictionary, it defines accountability as being subject to giving an account, answerable, capable of being accountable for, explainable, held responsible. We may have many people who hold us accountable for our actions in our lives. For example, a boss may require a monthly business report from you. If you are studying, your trainer or lecturer may deduct points for every day that your assignment is late. The tax department may issue a fine if your taxes are not dealt with fairly or on time. There are many forms of accountability for our everyday activities that characterize our lives, but who keeps us accountable for our essentials, our life changes, the profound and deep things that are important? Here at ICA, our students must be accountable for their own training. This is a direct reflection of being accountable in your everyday life. In the nature of our program here at ICA, we do require our students to take accountability for their actions, to make sure that they are following the processes correctly. We do have checks and balances in place throughout your entire time here as a student, from support to mentoring to assessments. 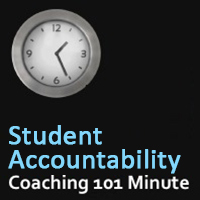 Ultimately, as with any education, it is up to the student to take responsibility for their learning. There are many components to sustaining a commitment, including the time, the difficulty involved, distractions that are around you, the rewards for following through with the commitment and most importantly, the maintenance. Ownership is the most important factor needed to be accountable. There has been a lot of research that has looked at accountability and they have found that when the commitment to change comes from inside the person, there is an increase in the likelihood that person will achieve their goals. Students here at ICA, who genuinely want to make a change and see coaching as a vehicle for their personal and professional development and possibly even a career path, are more likely to succeed if their passion for coaching comes from within. The ownership of wanting to be a student and wanting to be a coach is absolutely necessary. Looking at this whole concept of ownership in coaching, it is important that the coach challenges the reasons why the client has taken up coaching before they ask for the commitment from the client. If a client is coming to coaching only because it is an offer in their company and they think they might give it a try, they are less likely to succeed in their commitments. The coach may be able to work with the client to better understand and appreciate the coaching, but unless they have the necessary self-determination, he or she will be unlikely to meet the early commitments and will be more likely to drop out of coaching. Coaches and companies that have the greatest success in helping the leaders achieve long-term goals and changes have learned a great lesson. Don’t work with clients who have no buy-in to the process. This is true for coaching clients across all niches and even for our students here at ICA. If a client comes to coaching with a set of goals, it is worth exploring where the goals come from before holding a client accountable to them. If a client has these goals imposed upon them then there is no amount of accountability that is going to help them achieve these goals. Commitment to change needs to come from a good place. Having to do something because your boss is telling you to do so or because you believe it is expected of you or because you think it’s the right thing to do, you will not move forward. In most coaching situations, as well as with our brand new students, we want you to work on understanding your values and determine what you really want from the coaching process or from the experience of learning to become a coach. This will absolutely increase your likelihood of success. Is there a governing board to the coaching industry that brings some sort of standardization to the learning process and how we coach our clients? What is the history of coaching? When did it first begin? What does an ideal coaching client look like? I invite you now to come and join this conversation about coaching in our Coaching 101 classes. We have options every single week to fit anyone’s schedule. So come along where we will talk about coaching in general as well as answer any questions about International Coach Academy.